Ophthotech has licensed exclusive global rights to develop novel adeno-associated virus (AAV) gene therapy candidates for Best disease and other bestrophinopathies from the University of Pennsylvania (Penn), including its Perelman School of Medicine and School of Veterinary Medicine, and the University of Florida Research Foundation (UFRF). The value of the exclusive global license agreement could exceed $76.6 million for Penn, its medical schools, and UFRF, Ophthotech stated in a regulatory filing. Ophthotech exercised an option it acquired in October 2018 when it inked a second series of agreements with the University of Pennsylvania (Penn) and the University of Florida. The exclusive option agreement allowed Ophthotech to enter into talks with Penn and UFRF to acquire a license for novel AAV serotype 2 based gene therapy product candidates for Best disease, an orphan inherited degenerative retinal disease caused by mutations in the BEST1 gene. At the time, Ophthotech cited preclinical proof-of-concept studies by Penn and the University of Florida that have shown promising results in a canine Best disease model. In March 2018, a proof-of-concept study was published showing that the AAV-BEST1 gene therapy product candidate restored the anatomy between photoreceptors and retinal pigment epithelial (RPE) cells in the naturally occurring canine disease model, with distinct phenotypic similarities to human bestrophinopathies. The study, “BEST1 gene therapy corrects a diffuse retina-wide microdetachment modulated by light exposure,” was published in Proceedings of the National Academy of Sciences (PNAS). Since the October agreement, Ophthotech said, it has sponsored research at Penn, facilitated by the Penn Center for Innovation (PCI), to conduct preclinical and natural history studies for Best disease and commenced IND-enabling activities. Ophthotech said it expects to initiate a Phase I/II clinical trial for the Best disease candidate in the first half of 2021, based on current timelines and subject to regulatory review. 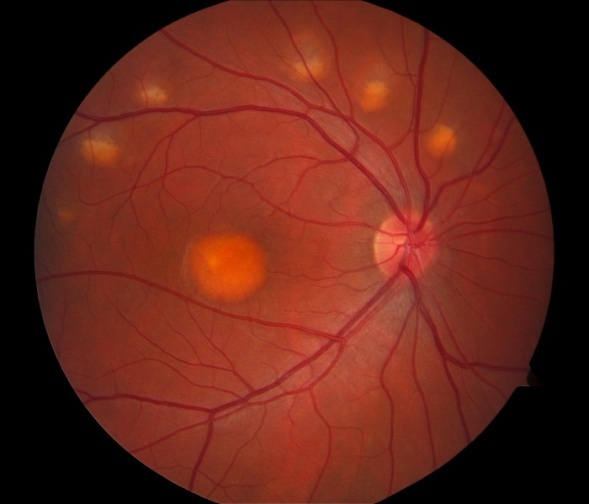 There is currently no FDA or EMA approved therapy to treat Best disease, whose patients develop an egg yolk-like vitelliform lesion in their macular region, which over time leads to macular atrophy and permanent loss of central vision. Ophthotech has estimated that approximately 10,000 people in the U.S. and the five largest European markets have Best disease. Under the latest agreement, Ophthotech agreed to “use commercially reasonable efforts” toward a development plan agreed upon with the licensors, with the aim of developing and commercializing a licensed product at least in the U.S. and two unnamed “major” European countries. Ophthotech agreed to pay Penn, on behalf of the licensors, a $200,000 upfront “issuance fee,” and pay UFRF approximately $18,000 in accrued patent prosecution expenses. Up to $15.7 million tied to achieving clinical, marketing approval, and reimbursement approval milestones for one licensed product. Up to $3.1 million if Ophthotech achieves similar milestones for another product. Up to $48 million tied to Ophthotech achieving commercial sales milestones for one licensed product. Up to $9.6 million if Ophthotech achieves these same milestones with respect to a different licensed product. In addition, Ophthotech also agreed to pay Penn on behalf of the licensors an annual license maintenance fee in the low double-digit thousands of dollars until the first commercial sale of a licensed product; and a one-time patent grant fee in the low triple-digit thousands of dollars, upon issuance of a U.S. patent that is based on inventions generated through Ophthotech’s research agreements with Penn or UFRF, and exclusively licensed to Ophthotech. Ophthotech also agreed to reimburse Penn and UFRF for the costs and expenses of patent prosecution and maintenance related to the licensed patent rights. Ophthotech launched its first collaboration with Penn and UFRF in June, obtaining rights to develop and commercialize a novel AAV gene therapy product candidate for the treatment of rhodopsin-mediated autosomal dominant retinitis pigmentosa (RHO-adRP). The company said it expects to initiate an RHO-adRP Phase I/II clinical trial in 2020.